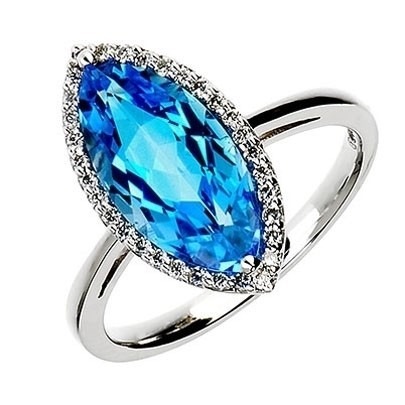 A bright and illustrious marquise cut topaz is sat in this ring, with all its energy; looking elegant and powerful. As the round brilliant cut diamonds set in its halo permanently expose their energy, behaving like chaperons. Worn as little and often as desired, this piece will not fail to satisfy.